It’s summer and what better way to spend it than camping? The fresh air, the smell of grilled food, s'mores, campfires, stars, and so much more. Montauk State Park offers lots of fun activities, which is why it's on our top picks. However, the main reason people camp here is for fishing. The campsites are all near a great fishing hub - the Current River. 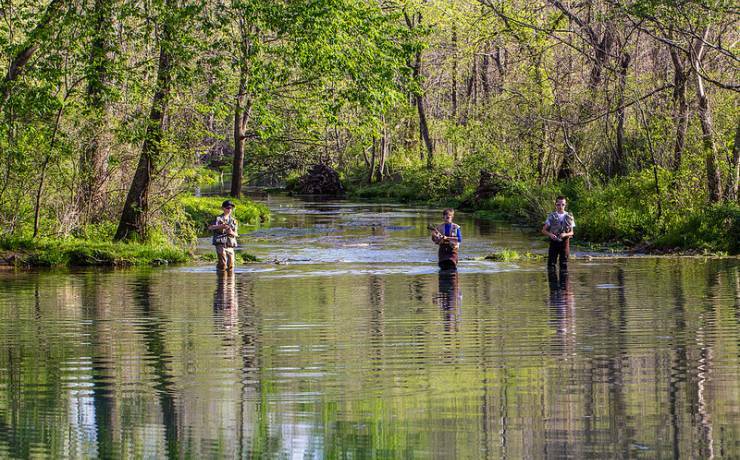 Depending on the time of the year, you can catch smallmouth bass, shadow bass, walleye, and catfish in the river. Camping in the Montauk State Park Campgrounds is pretty relaxing and easy. They offer many conveniences like two shower houses with hot showers, laundry services, ice vending machine, and a woodlot. There are both electric and non-electric sites, with all of them h﻿aving grills, picnic tables, and a lamppost. While there are many spots for campers or RVs, you still should make reservations to be sure. If you’re a new camper, this place is a good start. 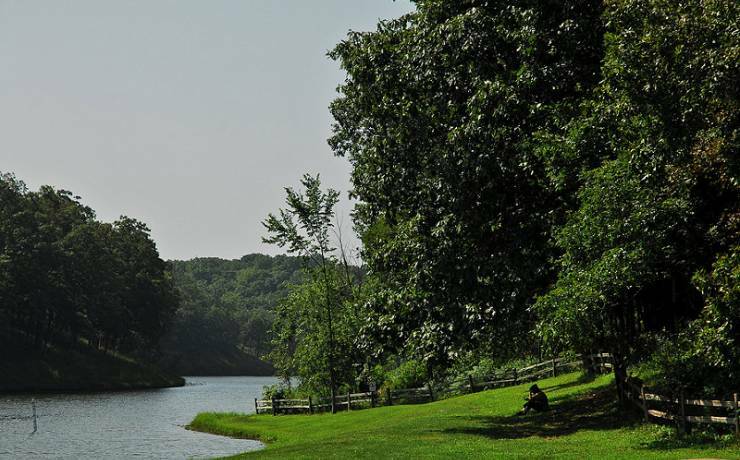 Aside from the fishing, you can go on the Montauk Lake Trail, which is ideal for hiking, biking or just walking. The loop trail is only less than a mile, and it's relatively easy so families with small children can enjoy it. Suitable for: New campers and families. Big Lake State Park is another great family camping destination. It is 407 acres large with 58 electric campsites and around 18 basic ones. The campsites are close to Big Lake, which is perfect for swimming, boating, and fishing, and accessing the lake is quite smooth, too. The campsite has fire pits, picnic tables, drinking water, shower, and toilet for convenience. It also has an outdoor pool perfect for hot summer days. Another thing that makes the park better than many other parks in Missouri is that it is ideal for bird watching. Since the lake is shallow, it supports migratory birds and some wetland birds. There are over 209 species that have been spotted in the park! If that interests you, don’t forget to bring your binoculars. The park is open all year, with campsites that are reservable. All though you don’t need to reserve, you still might want to do so to ensure a spot. During the summer, it can get full pretty fast, especially on weekends. Suitable for: Bird watchers, new and family campers, RV’s, and fishing. One of Missouri’s famous landmarks is Ozarks or Ozarks Mountain. It’s the highland region in the central area of the States, with the largest portion in Missouri. However, it’s also in Arkansas and Oklahoma. One of the best places to experience the Ozarks is at Echo Bluff State Park, which has rustic campsites as well as full serviced campsites. The Echo Bluff State Park has many different kinds of camping sites. There’s a basic one, which provides just a parking pad, a lamppost, picnic table, and grill. Then, there are others that supply electric power, water hook-ups, or both, and some with sewer connections. The Park is open all year with most campsites available on a first-come, first-served basis. However, some spots are reservable. What I love about the park is that it has kayaking, canoeing, among the other fun activities. It’s a great place for families and group of friends to bond, enjoy quality time, and enjoy nature in a safe environment. Suitable for: RVs, camper vans, Kayaking, canoeing, families, and groups. Cuivre River State Park is in the northwest region of Missouri and still features the Ozarks. Among the other camping sites on this list, camping in Cuivre River State Park gives you a more natural and rugged camping experience. The amenities are similar (electric, sewer, and water), the atmosphere feels more "outdoorsy" and rugged. Aside from the usual campgrounds, there are also Equestrian campgrounds. This place is perfect for nature lovers, hikers, and equestrians. The trails are delightful, especially in autumn when the colors are the richest. You might want to bring a camera along with you to capture the beauty! Aside from hiking, horseback riding, and biking, you can also go swimming and fishing in Lake Lincoln. If you want to visit this place, make sure to make reservations. It's open year round, but showers/water is only available at certain times of the year. During the peak seasons, there are tents available for reservations. Then, during off-seasons, you will need to bring your tent. Suitable for: equestrians and hikers. As the name suggests, this site is suitable for RV camping. It has 17 large and clean sites, some tent sites, full hook-ups, which are mostly under the shade of towering trees. The site has laundry services, a playground, pool, a recreation hall and a few other family friendly activities. However, the best thing about this campsite is that it is pretty close to the famous Grand Gulf State Park. The Grand Gulf State Park is a natural wonder you shouldn't miss in Missouri. It has a variety of geographical features, including canyons and caves that came to be around 10,000 years ago. 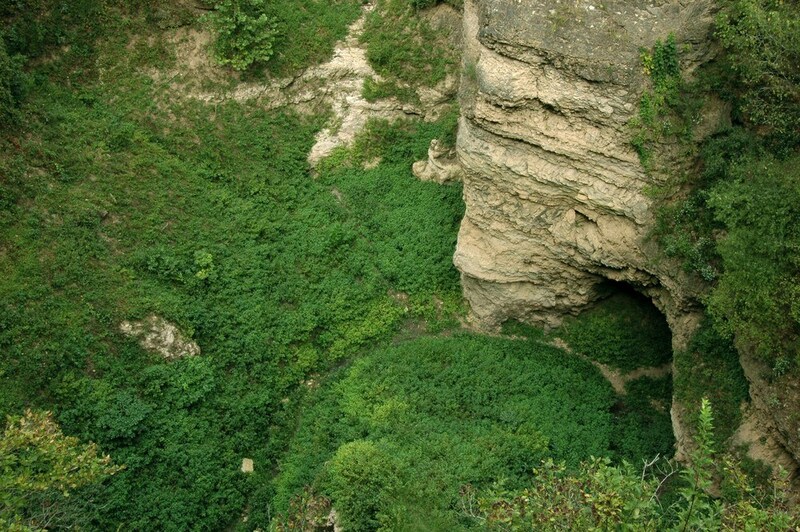 There's also a cave that forms a natural bridge! The state park has hiking and biking trails for everyone to enjoy for free. Chipmunks RV Crossing Park is just about a 30-minute drive away. It has all you need for a good camping experience, but the perks are being close to the Grand Gulf State Park. Suitable for: Visitors going to Grand Gulf State Park. 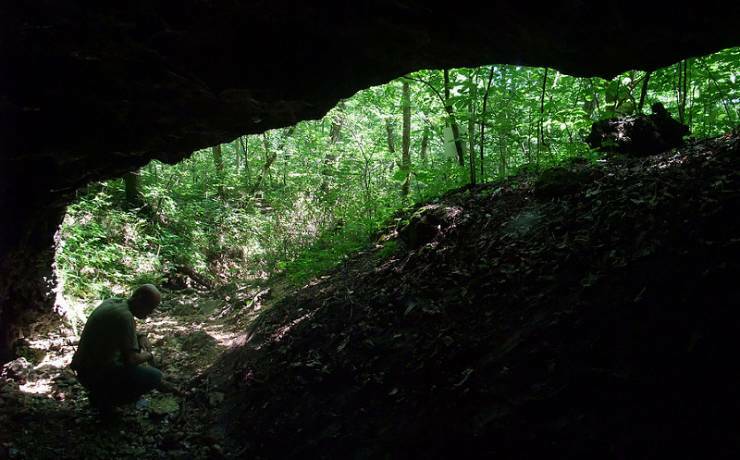 If you didn't already know, Missouri's natural wonders include caves and caverns. Another place to experience these wonders is in Meramec State Park. The campgrounds offer the basics as well as electric and water in some areas. 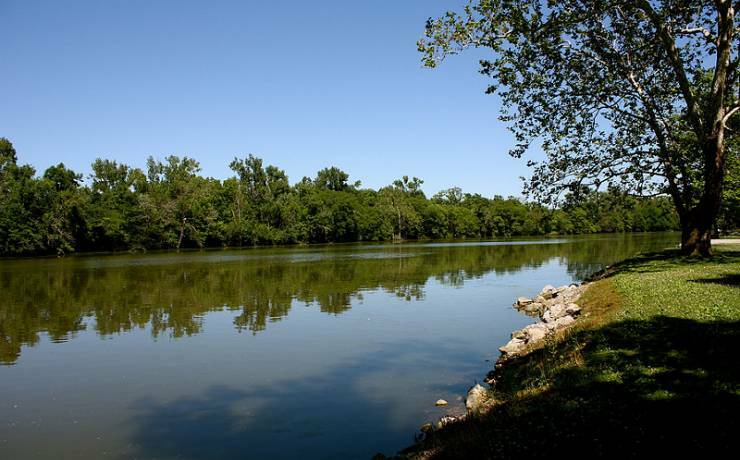 One of the main attractions in this place is the Meramec River. The river itself is such a sight to see, but you can also go swimming, fishing, boating, and rafting in it. However, what you should do before you leave the park is the Fisher Cave Tour. The Fisher Cave is an amazing natural wonder that has even bear claw marks on the walls of the cave. You will also be able to see some wildlife and other interesting cave features. The park also has many trails for those who love to hike. The Wilderness Trail is the longest one in the park, and it goes through amazing natural features as well. It's also very rich in history because of some parts of the trail show some structures from the 1930s. When you go hiking, expect to go through some dirt, roots, shifting rocks, and mud. There are also some low hanging branches and vines. It's not exactly an easy trail, but it's rewarding and beautiful. Suitable for: Nature lovers, hikers, bikers, Cave tours, boating, fishing, and rafting. The last but not the least campgrounds in Missouri is at Table Rock State Park. Thanks to being in one of the most popular tourist towns in the country, it is one of the most popular campgrounds in the state. It's an ideal spot for those who are looking for outdoor recreation because the place is full of attractions. 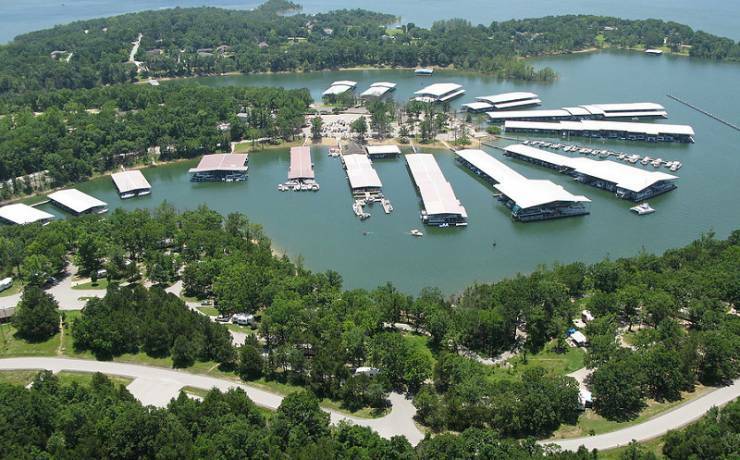 There's the State Park Marina for ski boats, paddle boarding, and other water recreational activities. There's also many things to do on land like hiking and biking. Being an attractive place for visitors, the campsites in Table Rock State Park are equipped with many conveniences. They offer premium electric sites, potable water, shower, boat launch, dump station, laundry, and the other basics. The place is filled with things to do - fishing, biking, hiking, and wildlife watching. There may also be different park events throughout the year, so make sure to check those if they interest you. Suitable for: water recreational activities such as parasailing, boating, skiing, and more. As you can see, there are many excellent places for camping in Missouri. But where is the best one? Well, each one is great in their way, but it depends on what you’re looking for. Some places are greater regarding hiking opportunities, while others are greater regarding water activities. Most of the campsites offer similar facilities, but what sets them apart are the experiences that each place offers.